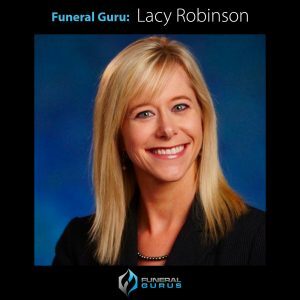 Lacy Robinson, CFSP, Senior Professional Development Trainer at Aurora Casket Company shares her insights with cremation phone callers. She lets attendees know what they will learn and take away from her presentation, “Art of Cremation Phone Inquiries: 3 Steps to Better Client Decisions” at the 2013 NFDA Annual Convention. Interview by Robin Heppell, CFSP.